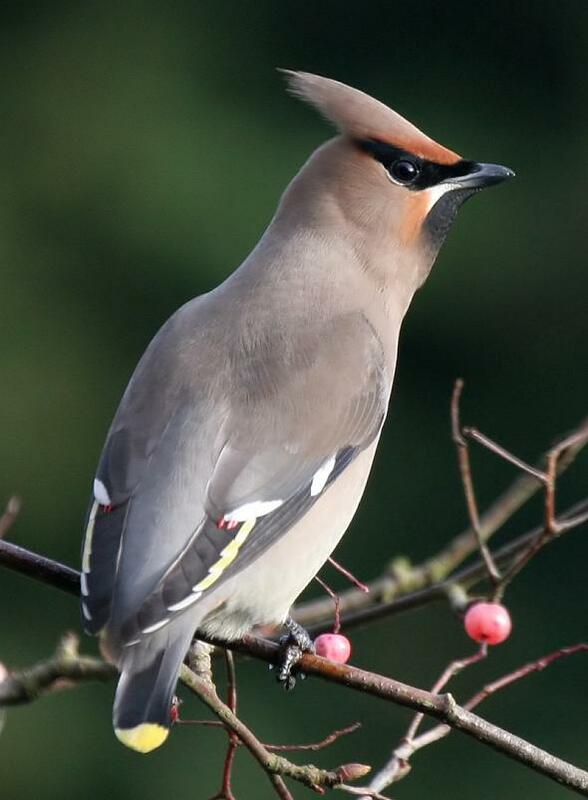 Waxwings are about the same size as Starlings and seen at a distance can initially be mistaken for them. Bright colourful bird, the name comes from the patch of red on its wings which look like red wax. They are winter visitors from Russia and North Europe and can be seen from October to March. They are usually spotted on the Eastern side of Britain, depending on their numbers in some years they can be seen further inland. 30 Waxwings seen at Greenfields Haworth 17th Feb 2011.